Mcpherson Roofing is a company built upon the foundation of honesty, safety, quality and professionalism, providing residential roofing and exterior services throughout the Niagara region. Located in Niagara Falls and working with a small crew for both increased safety and quality, Jesse Mcpherson, owner and contractor oversees every project himself, from start to finish and will do his best to be available to speak with the customer throughout the progress of the job about any concerns or questions. Jesse's old fashioned style using hammer and nail is always offered to ensure top quality workmanship at no extra cost to you. Whereas compared to some competitors, Mcpherson Roofing never rushes a job, by this the quality offered is unsurpassed, and the work speaks for itself. If you are interested in having some work done, a Free Estimate can be arranged, Mcpherson Roofing is also fully registered and insured. "We will always take as much time as needed in explaining all aspects of any roofing project for you, the customer!" Specialties include: roofing, (cedar and fiberglass) soffit, fascia, eavestrough, siding, decks and fences. The best will be done to guarantee customer satisfaction. Below are some recent testimonials from satisfied customers! These can also be found on our Testimonials page. Mcpherson Roofing is also compliant, trained and certified with the following: Workplace Safety and Insurance Board, as well as the Ministry of Labour. 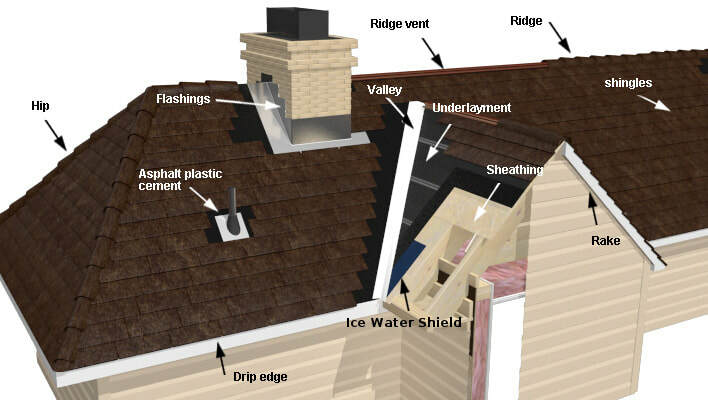 ​At Mcpherson Roofing, we believe that you should be kept in the loop of things, so here are some articles to keep in mind what to ask, expect and look out for when you get any exteriors of your home inspected and or especially repaired.